Influencing Health Care Policy: Can Medical Providers Do That? How can health care professionals/pain management specialists become more involved in shaping health care policy? Rehabilitation specialists are instrumental medical providers in the management of chronic pain. As a physical therapist I have been specializing in chronic pain for close to 15 years, and doing so, through the use of Complementary and Integrative Medicine methods, namely yoga. As health care providers, the focus we choose for our clinical work is very important. As therapists we have the power to directly impact healthcare policy in the US. How can we influence the future of health care? We can start by changing the way we deliver therapy services. When I started out in physical therapy I made a conscious effort to do just that. 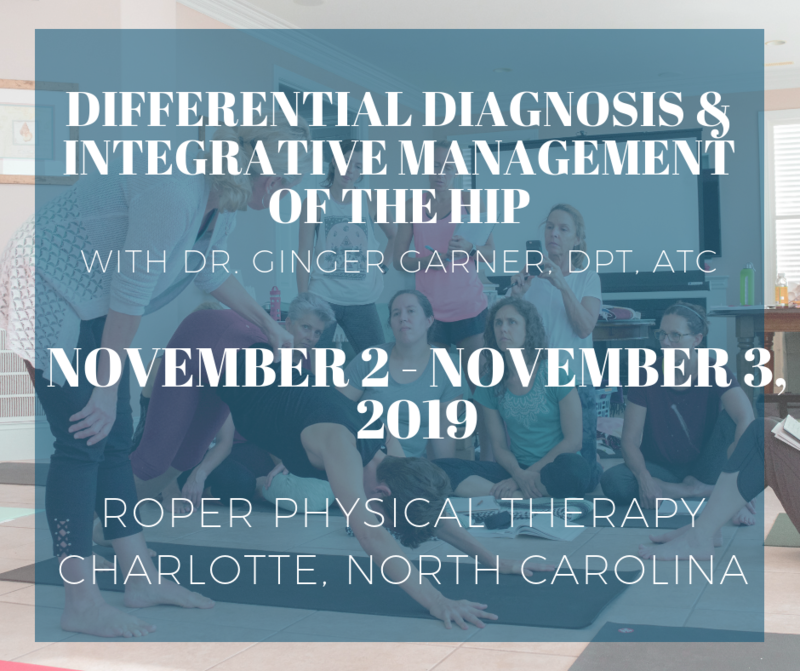 With deliberation and much thought, during my first year of the Master of Physical Therapy program at The University of North Carolina at Chapel Hill, I sat down and created a mission which I felt would direct and determine the impact of the rest of my career. At the time I was in PT school, I was concerned that there were no courses in integrative medicine, prevention, or business, much less alternative business models. That led me to venture outside the School of Medicine and into the School of Public Health. After obtaining special acceptance to do graduate work at The University of North Carolina at Chapel Hill School of Public Health, I worked on special projects that would eventually lead me to become a community organizer in eastern North Carolina. There I was able to create some of the first integrative medicine programs in yoga and Pilates in the US. Now 15 years later, my clinical focus continues to target public health education and injury prevention through writing and education in evidence based yoga. My career and work in yoga as medicine stands as a humble offering for anecdotal evidence that as health care professionals, we can improve health care delivery through fostering a paradigm shift toward holistic and preventive therapy care. My mission in PT and chronic management has been to improve health care and health care delivery in the US, for the past 15 years. My activism to shape health care policy through being a health care provider – led me to integrate a holistic biopsychosocial model of assessment, which I dub the “Pentagon of Wellness,” into my PT practice. It is the foundation of a method of evidence based medical therapeutic yoga practice called Professional Yoga Therapy. That model has allowed me to shift pain management and health care from its current medical model, curative based, to a more preventive or wellness based model. The results are very positive. The model operates on the notion that CAM, a multi-billion dollar industry in the US, can be effective at both preventing and managing disease. The vehicles I use for shifting the health care paradigm include yoga, Pilates, Ayurveda, Native American medicine, Feng Shui, chromotherapy, and music as medicine. I combine all of these modalities with my licenses and experience in physical therapy, manual therapy and soft tissue work, women’s health, and sports medicine. In less than 10 years, and working outside the current insurance model in order to lower health care costs (and since insurance can routinely deny or cap treatment for those in chronic pain) – I have been able to work with patients of all types – from pediatrics to geriatrics, from low back pain to cancer – and see them for a drastically lower cost through group physical therapy using the PYT model. My story is a small contribution toward the collectively massive potential we have available to us as medical professionals to create lasting transformation in health care today. We have a clear and decidedly urgent responsibility as health care professionals to influence health care policy change, particularly in pain management. The insurance based system, as it stands, frequently denies patients therapy services when the words “chronic pain” are involved. I have repeatedly empathized and felt the despair and depression that patients bring to me because they felt they had no advocate in their previous health care experiences. In fact, it is the most common story I hear, other than the shared variable of the pain experience. But the positive news is we can change. We can improve health care today. We can empower our patients to take control of their health care, to be an advocate for themselves, to educate them as to their options and rights in receiving therapy services, and finally, to begin to incorporate evidence based methods of Complementary and Integrative Medicine in alternative business models. One of the many ways you can start to be a change agent today is to start by taking the Medical Therapeutic Yoga series that HomeCEUConnection.com currently offers in partnership with Professional Yoga Therapy. The entire premise of the program is built upon empowering the patient and managing stress and inflammation in both the patient and therapist in order to reduce health care costs and improve health care in the US. I believe holistic self-care techniques, steeped in prevention and compassion, can truly change the landscape of American health care today. The methodology of the biopsychosocial model used in the Medical Therapeutic Yoga coursework is both evidence based and fiscally responsible. It offers an affordable business model which has enormous potential to reduce overhead costs in medical practice, health care, improve patient outcomes in therapy, and reduce health care provider burnout. Read patient testimonials here and read student reviews of the program here. As therapists today, I believe we have overlooked our potential to be powerhouse agents of change. The health care provider as legislative change agent starts now – one patient at a time. If we as health care providers begin to embrace proven and safe holistic and integrative therapies then I strongly believe we can incite massive change in US health care and improve not just the health of our patients, but our health as well.